What steps can you (still) take to ensure that your year-end fundraising appeal gets delivered? You’ve Got (Undeliverable) Mail: Why Nonprofits Should Invest in Good Data. A timely guest post from our friends at Merkle RMG. Are you getting ready for Giving Tuesday? Sample emails (no option required). What’s in my Inbox. We all know that thinking like a donor helps you to write a better fundraising appeal letter. But can it help you design a better envelope too? Remember, it won’t matter how great your letter is if your donor (or prospect) doesn’t open it. What’s in my Mailbox | Nonprofit Envelope Teasers: Yay or Nay? In The Arrogant and Ignorant CEO Richard Perry of Veritus shares a story about a CEO who already *knows it all. * We’ve had experience with these types of EDs and CEOs ourselves. It’s tough. You love the mission. You love the donors. But it’s time to move on. How do you measure the *magic* in fundraising? Richard Turner with a timely post. Mary Cahalane with a reminder that fundraising is very personal. Make INSIDE OUT FUNDRAISING: How to Create a Culture of Philanthropy by Treating Systems Instead of Symptoms from Mark Rovner at Sea Change your required weekend reading! And mark your calendar for November 20 when Mark will be our special Motivate Monday guest. Should board members be required to give? What do YOU think? Here’s how to get there – along with a few free downloadable tools you won’t want to miss! Is your website ready for year-end fundraising? In our latest Basics & More™ class, Online Fundraising Accelerator, you’ll discover what donors really look for on your donate page, how to write an email ask series, what a homepage takeover is and why you should use it, and much, much more. Early Bird pricing ends today. Sign up now. Everyone’s favorite fundraiser, Joe Garecht, AKA The Fundraising Authority, is back! 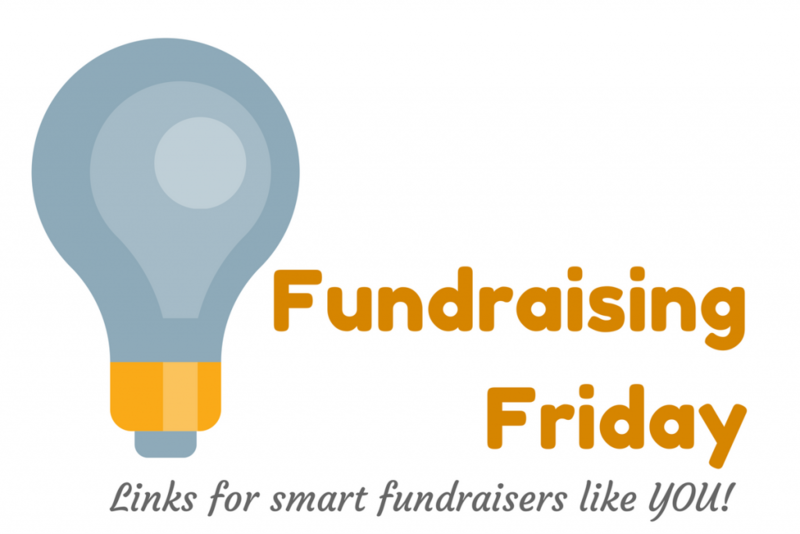 Plan to stop by our next Motivate Monday when Joe chats about fundraising SYSTEMS. October 23 at 1 pm EST. Save your seat here.